The Virtual Sink: Oh, Canada! We drove up to Canada today as part of our vacation into Ontario. I've never crossed a land boarder before, so I was not prepared for the way some of the things worked while crossing into Canada. Do I need a passport to get into Canada? If you're going to cross the land border into Canada, you need some sort of enhanced ID. Some state driver's licenses count as enhanced ID, but, sadly, most states are lagging behind in that aspect. So, if you don't have an enhanced ID, you'll at least need a passport card. If you're flying in, you need a passport book. 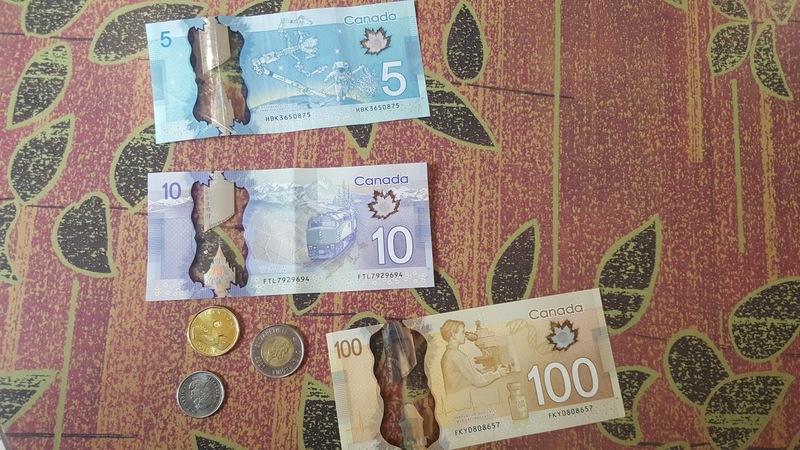 How do I get money in Canada? Right when you cross the border, there's a currency exchange where you can exchange your US dollars for Canadian dollars. Otherwise, you can use your debit card at an ATM in Canada and they'll take out Canadian money and charge your account the equivalent in US dollars. Canadians are heavy users of dollar coins. The one dollar coin is called a Loonie because of the loon depicted on it. Thus, the two dollar coin is referred to as a Toonie. They've abandoned usage of the Canadian penny, so purchases are always rounded to the nearest nickel. 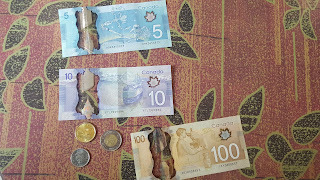 Canadian paper money is actually made from polymer which feels weird and very plastic-like compared to U.S. currency which is made from cotton fabric. All told, the Canadian bills feel weird to me, but they're probably more durable than U.S. bills. Will my cell phone work in Canada? I got my Verizon Wireless Samsung Galaxy S6 Edge to work in Canada. Eventually. Even if you have a Global device, you still have to update your plan so that the phone will actually work. Verizon Wireless offers a number of plans for using your cell phone in Canada. Pick the one that works best for your situation. Google Maps switched to metric measurements of distance automatically when we crossed the border. If you'd rather have Google Maps give your distances in miles rather than kilometers, you can change that setting via the Route Options. Does Canada use the Metric system? Yep. Distance signs are measured in kilometers . Gas is measured in liters (One gallon is equal to roughly four liters). Speed limit signs are in kilometers per hour. Thank God they drive on the right side of the road.